The first flat I ever lived in with my now-husband was in Spitalfields. From the moment we moved there I thrilled to the sense of history that was palpable as you walked around the streets, with their slightly odd French-sounding names – Fournier St, Calvin St, Fleur De Lis Street. It was while we were living there that I first noticed the house on Princelet St with its little blue plaque: “Anna Maria Garthwaite 1690-1763, Designer of Spitalfields Silks, lived and worked here”. I tried to find out more about her, but there were very few sources about her life: a short entry in the Oxford Dictionary of National Biography, her will, which survives in the National Archives at Kew, and most importantly the 900 or so of her patterns for silk which are held in the archives of the V&A. What we do know is that she was born in Harston in Leicestershire to the Reverend Ephraim Garthwaite and his wife Rejoyce, and that she had two sisters. She never married, and after her father’s death in 1726 she moved to York to live with her widowed sister Mary Dannye. A couple of years later they moved to Spitalfields, where Christ Church had just been built around the corner by Nicholas Hawksmoor, and which was mainly populated by French-speaking Huguenots – descendants of Protestant refugees who had left France after the revocation of the Edict of Nantes and the religious persecution that followed. Many of those who fled France for England were weavers, and they settled in Spitalfields, which at the time was just outside the city walls of London. Over the next 30 years while living here Anna Maria Garthwaite produced over 900 designs for silk patterns for the master weavers and silk merchants who lived and worked in the area. Many of her designs are annotated with the names of the clients for whom they were made, and contain detailed technical instructions for the weavers who were to produce them in silk. She worked in watercolour and some of her most impressive designs are rococo florals which have an almost three-dimensional effect that she was able to produce via detailed shading, almost like a painting. You can see some of her woven silks at the V&A (and also at the Met in New York), as well as this charming paper cut that (incredibly) she produced at the age of 17. I became (and still am) fascinated by this woman, who seemingly had no real need to earn her living, who never married, and who moved to London at the age of 40 to take up a new profession of her own volition. I like to think she must have been a woman of strong character and an undeniable creative urge that found its outlet in designing these beautiful silks. For one so prolific, and so well known in her industry at the time, there is remarkably little that survives in the historical record to explain her life. What did she look like? How did she infiltrate this very male- and family-dominated industry to become so successful? How did she acquire her technical knowledge – did someone teach her? Why did she never marry? Did she ever wear her own silk designs or could she not afford them? We’ll probably never know the answers to these questions but I think about them every time I pass her house. 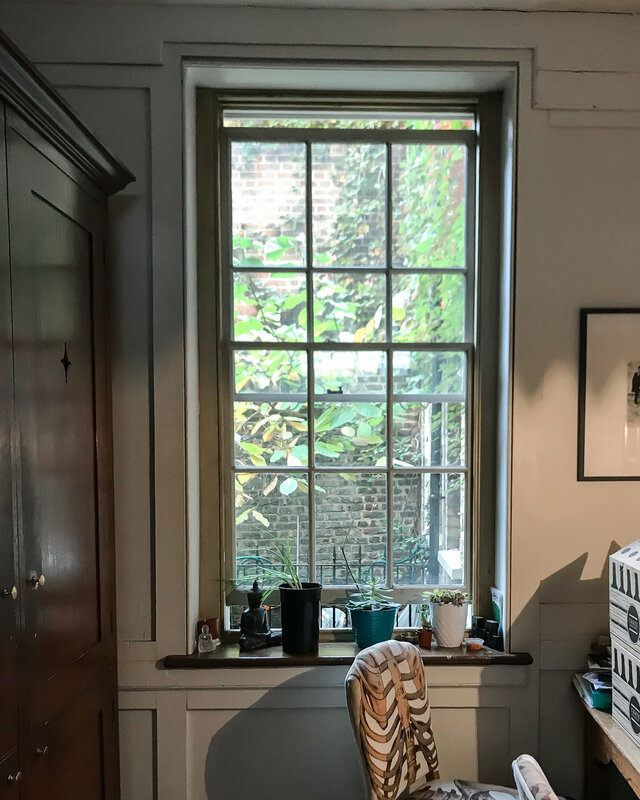 I posted a photo of her house recently on Instagram and soon afterwards was contacted by Spitalfields Music, a charity in the East End of London which holds an annual music festival in December each year. This year one of their events is called Schumann Street, and as part of this event eight of the early Georgian townhouses on Fournier, Wilkes and Princelet Streets are to become music venues for the weekend of 9-10 December – the idea is that people follow a route around each one to experience different interpretations of Schumann’s song cycle Dichterliebe, including soul, jazz and rap versions. You can imagine my excitement when they said one of the venues would be Anna Maria Garthwaite’s house, and would I like a look around? I tell you what, it was worth doing Instagram for the last 18 months just to have the opportunity to have a peek inside this house that I’ve longed for so many years to see. 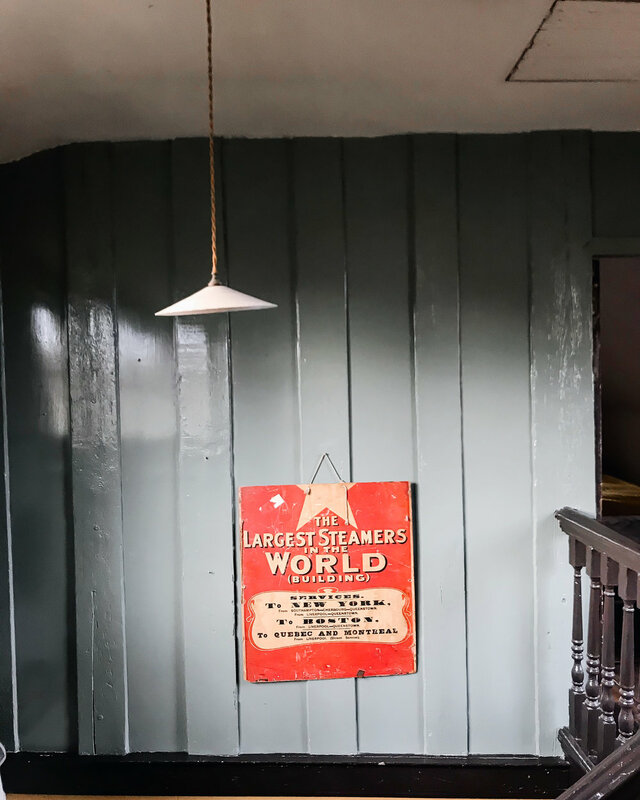 I met the current owner, Rupert, who showed us around the house, pointing out the tack marks in what is now the kitchen and explaining that he’d been told they were the marks made when Anna Maria Garthwaite pinned up her designs. (I must admit that a shiver went down my spine when he said this!) The house has been restored, to a point, but it certainly retains the patina of age, and I think that Anna Maria Garthwaite would recognise it if she saw it. 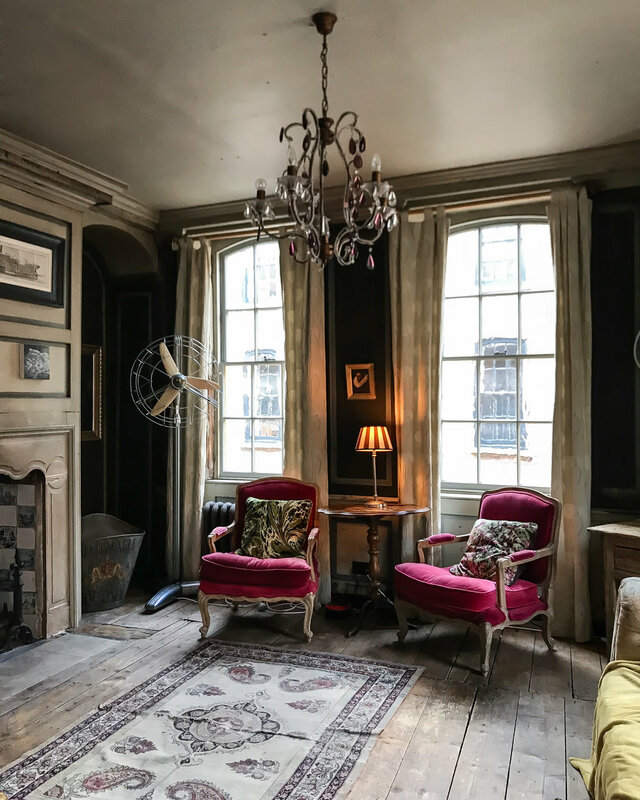 Tickets for Schumann Street are available on the Spitalfields Music website, and apart from Anna Maria Garthwaite’s house there are some other amazing houses involved – the pink house on Princelet St (which will be familiar to many on Instagram! ), the Landmark Trust house on Princelet St, which I’ve had the pleasure of seeing inside once before, and several houses on Fournier St, including the Old Rectory. If you have an interest in 18th century interiors or architecture then it’s a fantastic way of getting a glimpse into these private homes that aren’t normally open to the public, and I’d recommend it for that as much as for the music! I’ll be going along myself so do say hi if you spot me snapping away.